Wadi es-Sebua is the site of two Egyptian New Kingdom temple complexes. The first temple was built by the Pharaoh, Amenhotep III, who ruled Egypt from 1386 to 1349 BC. 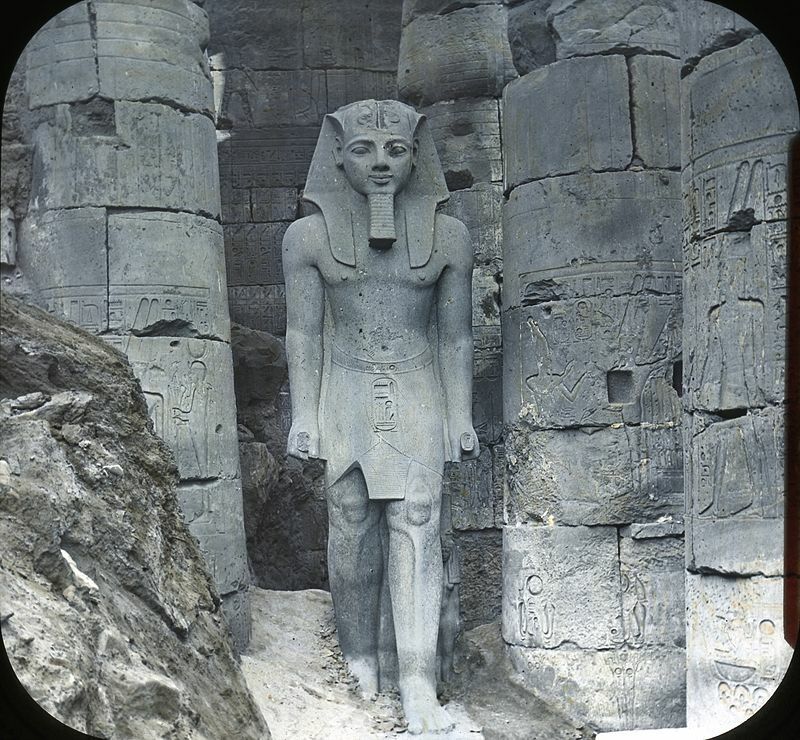 The second temple was constructed by Ramesses II. 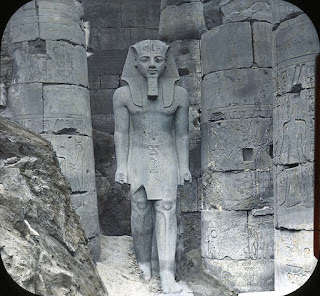 Ramesses II is perhaps the most famous Egyptian Pharaoh - behind Tutankamen, I guess. He reigned from 1279 to 1213 BC, an unprecedented 66 years! His activities while Pharaoh are great and many. Click HERE for more on the "Great Ancestor". The construction of the Aswan dam project threatened to flood the site of the temples, thus destroying these amazing monuments. The project, commonly referred to as the Aswan Dam, is actually the construction of the Aswan High Dam. The original Aswan Dam was built between 1898-1902. The Aswan High Dam, built between 1960 and 1970 had a significant effect on Egypt, one part being its monuments in the Nubian regions. 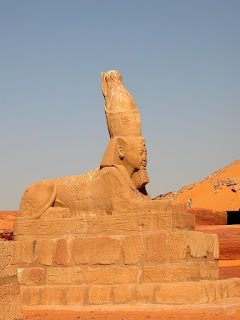 The reservoir for the dam, called Lake Nasser, would flood many important ancient monuments if a solution were not found. 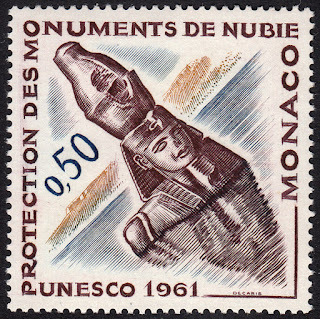 It is at this point in the story we can introduce the stamp issued by Monaco on 3 June 1961. It was issued to help gain publicity for the protection of these temples. This stamp, engraved by Albert Decaris, showcases the need for the protection of monuments lest, as the image depicts, the monuments get drowned in flood waters. 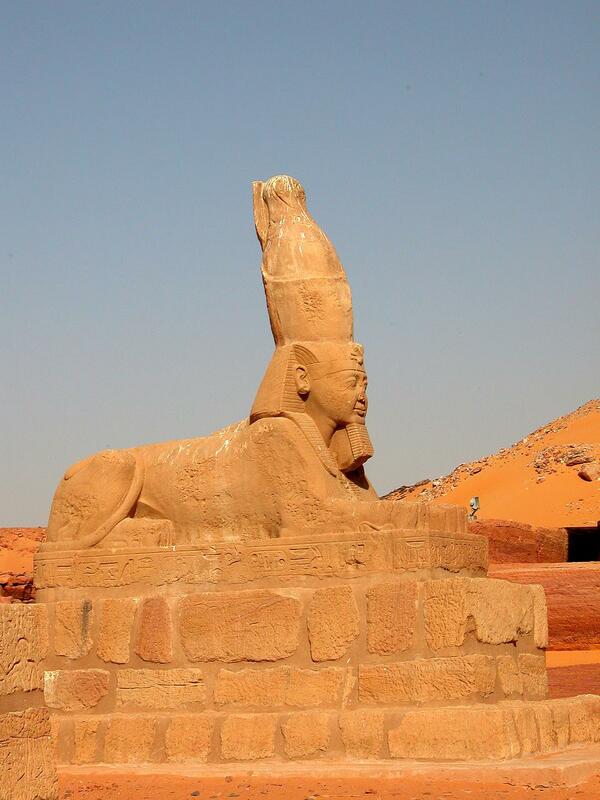 Thankfully, it was decided to move certain important monuments, these temples being two such monuments along with others such as Ramesses II's temple at Abu Simbel. Wadi es-Sebua was dismantled in 1964 and moved 4km west of its original location. 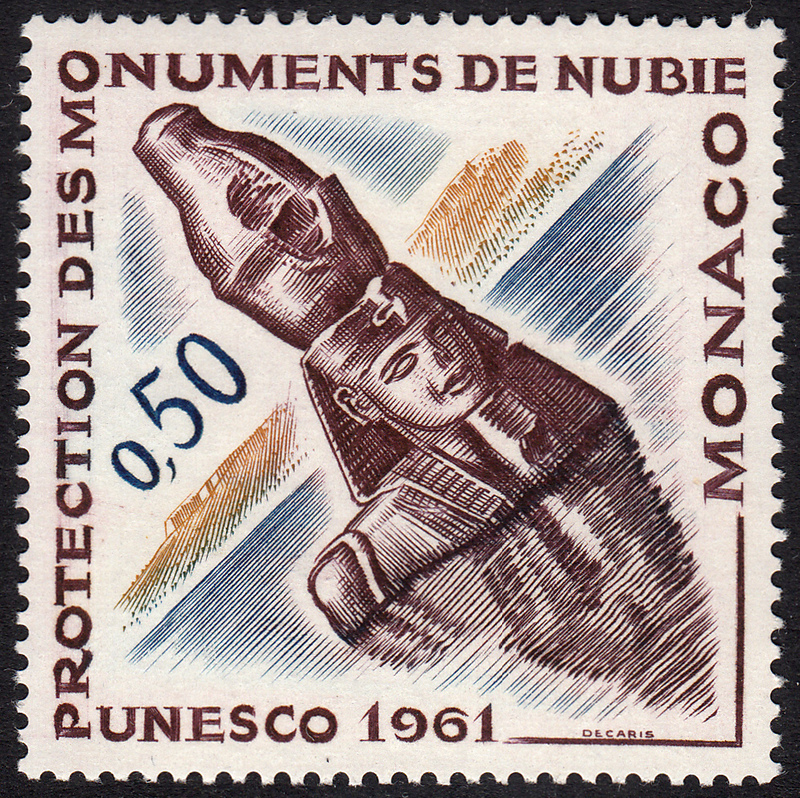 The monuments avoided the disastrous outcome as depicted on the stamp! Incidentally, the temple at Abu Simbel was relocated in 1968. Now monuments such as these can continue to be enjoyed for many generations to come.